I have a Stalker with Bosche cell running in test and all is good so far. Which is nice and big thanks goes to Clemens for that. Recently Clemens provided me with 4 matched cells since I wanted to try such setup. However I am struggling to get this up and running. Here I am at the end of all what I could try. When I take the same sketch and make same connections using arduino uno it reads all nice and I can adjust the scale. Again the same result works via UNO but the Stalker shows only one value no matter what I try. I know that the stalker itself works fine since when I assemble it again with the ads1231, load the correct sketch it works like a charm. As I said I am reaching the end with what I could try to make this work. So please if you have any advise - let me know. Seed says that with the “new” Seeeduino Stalker V3.1 has a switching power (via D9 “VB_CTRL”) but connection sensors to 3.3V or 5V did not work, there must be an hardware error, but Seeed Studio didn’t responde on several reports. This is the reason that I do not follow any further devolpment with the Seeeduino Stalker! Can you post the sketch you are using? Can you post a photo of your wiring? Yes. I seen that 3.3v or 5v had 0 when I measured them so decided to use another pin. I tried 17 , 9, 4 for power to see if there is a difference. The power output measured was always spot on 3.3v from pin 9. somwhere between 3.1 to 3.3v on the other power pins I tried. 1st I ran each of this tests on normal arduino uno with usb cable. Each time the sketch worked perfectly and I could make the scale adjustment easily. 2nd I ran the same code via stalker connected with the FTDI cable. Every time the result was that I seen the same value -1822500 no matter if the scale was loaded with weigh or not. There only difference beside the board is the connection Uno with usb and stalker with ftdi. Just to have peace in mind I used a Lipo on the stalker but did not see any difference. I believe this only points to what you mentioned - some hw problems with power distribution. Not sure if it makes sense to continue on tracking this down. I rather try to go for a different board. Autonomo or ESP or something. Could be that 4 load cells need more power than just one and a normal pin as power source can not deliver it! Have you tested a single load cell instead of 4 in parallel, I fear this is the problem! Unfortunatelly the same here with a singel load cell only on a Stalker 3.1. :-( I have tested it with an Arduino Pro Mini (8 MHz, 3.3V, ATmega328P) so the same Microcontroller as on the Stalker. But this seems to be not the problem, it is running on the Pro Mini. Good idea to change the platform! I gave up with the Stalker 3.1 also! Yes. I tried one load cell also. Same result. So this setup will probably stay as it was with ads1231 and the bosche cell. 4 point cell will go on different board. So I did not populate the 4 cell PCB with the HX711 and used it as electronic “junction box” only. thanks for writing in. While I’m not a hardware guy, it somehow dragged me into the topic of the HX711 so I’ve been able to gain a reasonable overview over possible obstacles over the course of the last years. Note/Todo: We are currently compiling a more thorough list already. when I run the sketch the serial output doesn’t change and prints only one value no matter if there is something on the scale or not: -1822500. There are also some comments already which seem to contain reasonable advices which might help you to solve this issue. Please also note that we should finally start to look into interrupt-driven reading as outlined in Modern libraries for reading the HX711 ADC ff. All good reading. But the main concern is that the same hx711 board with the same connection and same code works on normal arduino uno. There is something with the stalker board that doesn’t tick correctly here. I have a spare hx711 breakout and will try to make a modification to the excitation power line like this. Also I will try the red breakout board with the stalker to see if there is a difference. After that I am giving up completely on the stalker board. Thanks again for emphasizing this. Looks like I haven’t been able to grok this yet and obviously makes me completely clueless then. If abandoning it is the only way out, sure! We are already working on measurement systems based on more contemporary hardware which might spark your interest, also beyond AVR and Arduino. However, we are still happy to support AVR/Arduino as far as we can. Update GitHub - hiveeyes/arduino: Arduino-compatible MCU code for sensor and telemetry nodes. to use the most recent HX711 library all over the place and also apply some general housekeeping there. 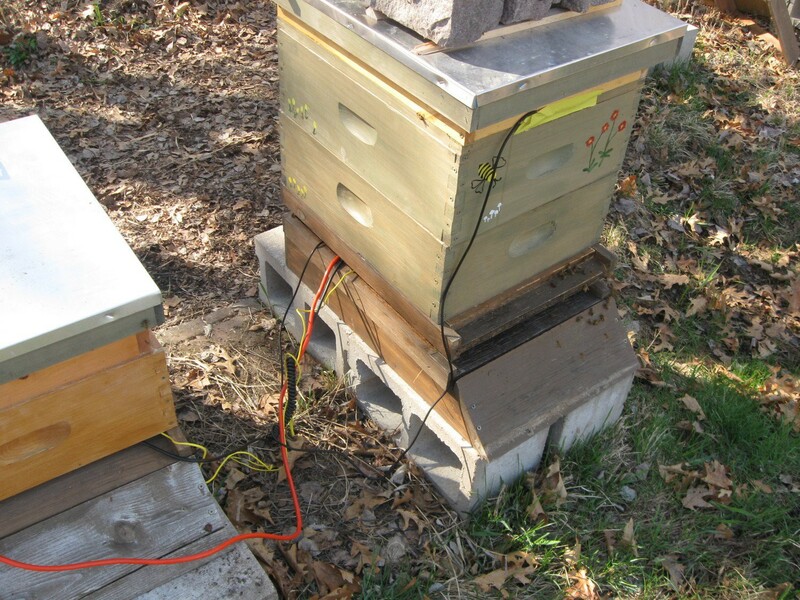 I just moved the discussion sparked from outlining your goals to a new topic at Hive monitoring setup with 60 temperature sensors.